We want to thank everyone who attended the screenings of Intelligent Lives on Friday, February 8, 2019 and Saturday, February 9, 2019! 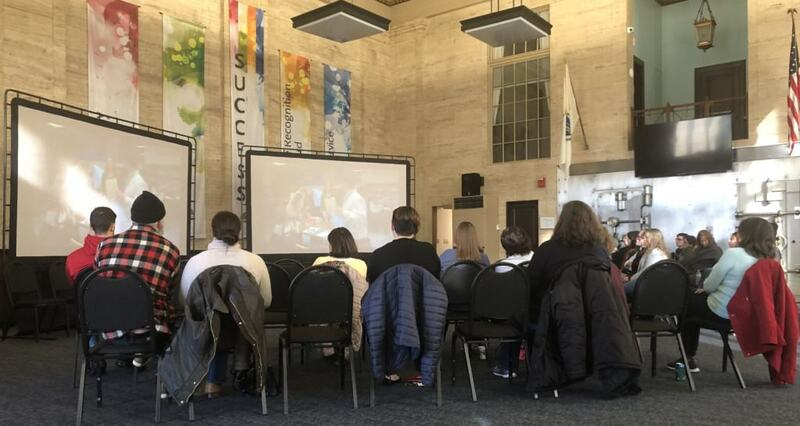 In the Great Room of People Incorporated's main office with the smell of fresh popcorn in the air, we viewed Intelligent Lives, a documentary film that explores the history and challenges faced by people who have been labeled as having an intellectual disability. By following the lives of three individuals and highlighting both their struggles and achievements, the film seeks to redefine how society views the label of intellectual disability. Each screening was followed by a panel discussion that helped us gain a deeper understanding and valuable insight into this wonderful, informative film.